As Qaddafi's jets drop bombs on the Libyan people, the UN Security Council will decide in 48 hours whether to impose a no-fly zone to keep the government's warplanes on the ground. Together, we've already flooded the Security Council with messages, "overwhelming" the President's office and helping win targeted sanctions on the Libyan regime. But Qaddafi has only stepped up his bombardment, and Libyan citizens -- including the provisional opposition government -- have called urgently for a no-fly zone to be enforced by through international action. If Qaddafi can't dominate the air, he loses a key weapon in a war in which civilians are paying the heaviest price. 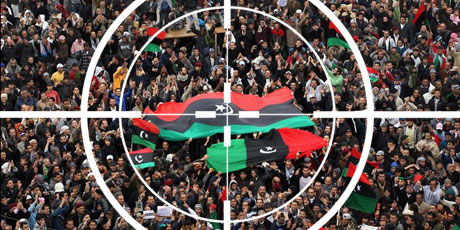 Enforcing a no-fly zone involves risks, but if it's done correctly -- without landing foreign troops on Libyan soil, and with utmost care for human life -- then it could prevent tremendous bloodshed. We have just 48 hours left. Let's send 1 million messages to stop Qaddafi's deadly air attacks before it's too late.